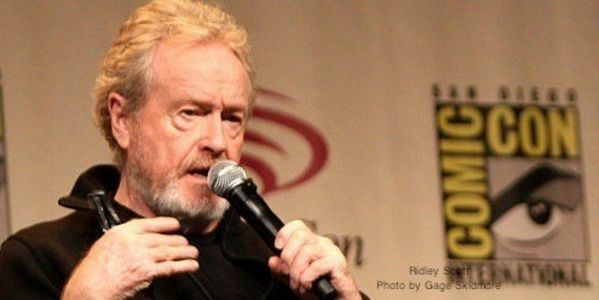 petition: Tell Ridley Scott to Stop Racist Casting! Tell Ridley Scott to Stop Racist Casting! The Biblical Moses was born in Egypt. That's Africa, right? So why, in Ridley Scott's new film, Exodus: Gods and Kings, are all the leading Egyptian characters lily white? In his new version of Moses' battle to save his people from slavery, Scott has played into the worst, most outdated assumptions that the heros of Judaism and Christianity were Caucasian. Christian Bale is playing Moses. Did anyone in the ancient middle east look like Christian Bale? Meanwhile, Scott has cast Black actors as the story's evil doers, further reinforcing racist stereotypes. Tell Scott to be more considerate of race issues when casting his films! We the undersigned are disappointed to learn that, in your new Moses epic, you have opted for casting decisions that are reminiscent of the worst Charlton Heston flicks. Your Biblical heroes are all Caucasians, and all men. The actors playing your bad guys are all of African heritage. News flash: All your characters are Africans. This is a story set in ancient Egypt. Did no one really ever tell you that Jesus was not blond and blue eyed? Neither was Moses! If you are not going to be respectful of history, please at least avoid racial profiling. Recast your future films more accurately.